Home » Janie’s Blog » There’s a dynamo Thyroid Patient Advocate you should know about! And early on in my activism, I became acquainted with someone else who was fighting for better hypothyroid diagnosis and treatment. And she was a bulldog! She chose NOT to “walk the fence”… instead speaking the bold truth about the scandal of the current popular thyroid diagnosis, as well as treatment with thyroxine for all too many. She has numerous times over the years written the governing bodies in the United Kingdom as to the problem, including with her communication “hundreds of references” to available research and studies to back up the issue. 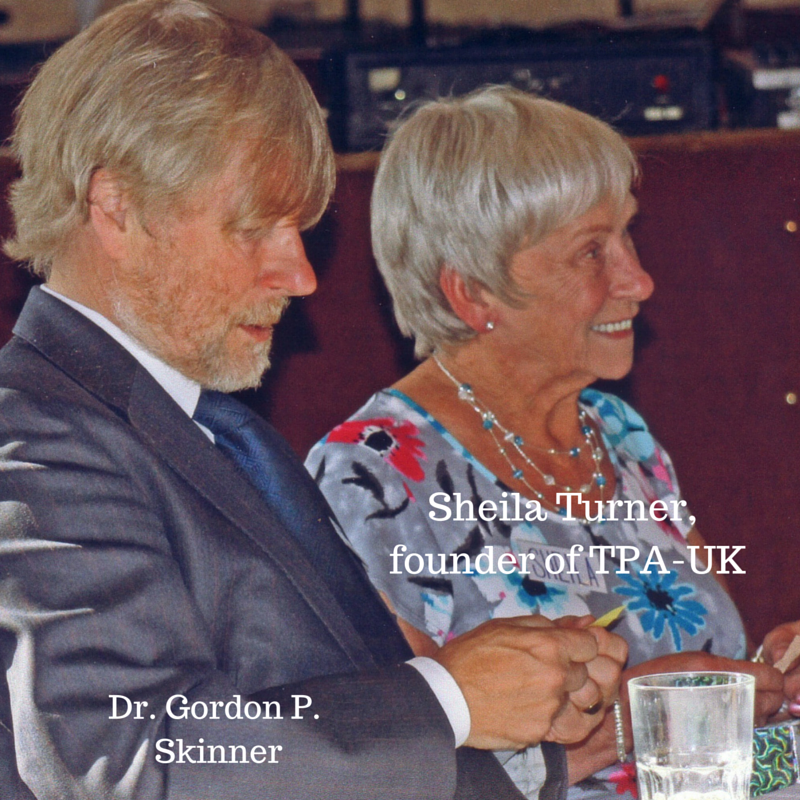 Her name is Sheila Turner, and she’s the founder of Thyroid Patient Advocacy in the UK (TPA-UK). And Sheila is a HERO! Like myself and millions of you, Sheila suffered on thyroxine, which she also terms as “monotherapy”. She had “fatigue, weight gain, coldness and hair loss”–the latter even all over her body! And her pain was so bad that she couldn’t even pick herself up off the floor. She finally managed to find a maverick doctor who put her on Natural Desiccated Thyroid, and she says “The sun came out!” She has now been happily pain-free and symptom-free for over 13 years. I identify, Sheila! And her transformation led to the creation of her TPA-UK website and thyroid support forum just for UK patients and more, “dedicated to the millions of thyroid patients who are being ignored and left to suffer unnecessarily, and to healthcare practitioners, who want to better serve those patients.” The use of the word IGNORED couldn’t be better said, Sheila. – Kent Holtorf, MD, the medical director of the Holtorf Medical Group and non-profit National Academy of Hypothyroidism. – Jacob Teitelbaum, MD, a board certified internist and Medical Director of the national Fibromyalgia and Fatigue Centers and Chronicity. They do recommend prescribing of thyroid hormones in line with Royal College of Physicians guidance (which means thyroxine, T4-only, monotherapy). The rationale of the above ridiculous comments? Are you ready?? – Insufficient clinical evidence of effectiveness and cost effectiveness to support the use of liothyronine (either alone or in combination) for the treatment of hypothyroidism. To the contrary, the evidence of consistently-reported therapeutic efficacy of T3-containing medications by a huge and growing body of thyroid patients worldwide is clearly important and worth consideration if the medical profession has even one intelligent and open-minded cell in their brains. EVEN WORSE, their recommendations show how to move patients off their T3 and onto T4-only. The information about liothyronine by PrescQIPP is both mis-leading, and some of it is downright incorrect. I am in the process of writing a response to PrescQIPP asking them to remove the hormone liothyronine from the ‘Drop’ list with immediate effect and I will give all the reasons they need to do this. If such organisations as the BTA, NICE, NHS UKMi (Q56.6) and PrescQIPP learnt how the different thyroid hormones work, there would be no controversy and if L-T4 left patients with continuing symptoms, the active thyroid hormone T3 would be given automatically and without complaint. I intend to ensure they know how thyroid hormones work. Bottom line, Sheila Turner is a strong friend of thyroid patients who is persistent in her quest to drive in the TRUTH about what appears to be a backwards and dark ages medical system in the United Kingdom about how a thyroid works, about diagnosis, and about successful treatment protocols. And what Sheila might achieve in the UK will only help the rest of us! You are a hero, Sheila! – Have you Liked the Stop the Thyroid Madness Facebook page? 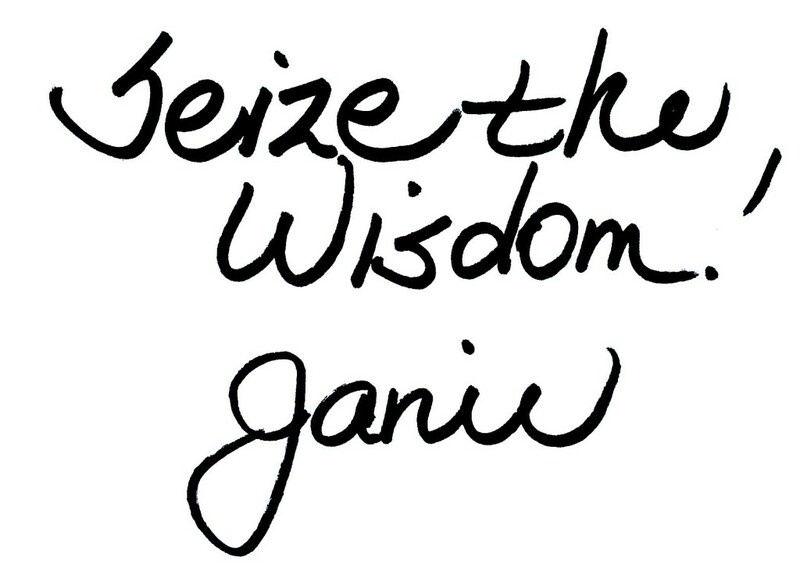 It’s full of daily inspiration and information based on solid patient experiences and wisdom! Hello folks. I have a recent diagnosis of PTC (just 4 weeks). I’ve been on synthetic hormones for more than 20 years and I am disappointed in myself for following conventional medical advice. Why didn’t I figure this out sooner? Now they are recommending total thyroidectomy–are there other treatment options? I am looking for reccommendations for Endocrinologists in the Washington DC metro area. Thank you! I commented to my doc about the sand spur feeling in my neck, she ordered an ultrasound of my thyroid. It came back were the doc wanted to biopsy one of the nodules. When the office called we talked for 30 minutes before I asked her what the last name of the person she was suppose to be talking to…..it wasn’t even me!! So I got another doctor to do a referral to one of the best or the best hospital in the east coast!! I express mailed my lab results, my ultrasound, my ultrasound after it had been read by a radiologist. When my appointment finally got here. She had not seen anything I had sent her, she didn’t even know about them!! she did nothing but refer me to a psychotherapist!!! Without laying eyes on my paperwork or ultrasound!!! Needless to say I was very upset! So 6 months later I get an email from her saying she was finally able to open my ultrasound ( guess this HUGE hospital doesn’t have a tech department!!) her findings were I have another nodule ( that makes 6) that was bigger than the rest and she thought since it had been so long I needed the ultrasound done at that hospital!! So I gave them another chance, same department different Doctor!! She spoke with me and did an ultrasound after it was over she said my thyroid was fine it was not enlarged, and I had no nodules!!! ( well where did they go??) I can’t help but feel they got together and discussed me!! I did ask her what the spots were on the new ultrasound she said it was my thyroid….I said no the spots….same response. Now I feel not only like crap all the time now I feel like an idiot!! That’s where I am now!! I think a radiologist should have read the second ultrasound not the doctor and the bloodwork, I feel was only mediocre. I don’t know what to do now!! I have to ask off work to go to the doctor because it’s so far away and everyone at work thinks I’m an idiot….that I’m just lazy!! Suggestions?? Great article, however I am familiar with Dr. Kent Holtorf MD who has a practice in Torrance, CA, he’s a rip off! He doesn’t care about improving people with thyroid problems, but only making money off of their thyroid disease. He doesn’t take insurance. I know of several people who have gone to him and were disappointed in his treatment. He has no bedside manners. I guess you get the point. Hi. Answered this on the STTM Facebook page for you. 🙂 i.e. http://www.stopthethyroidmadness.com/options-for-thyroid-treatment And you might want to discern if you also now have an adrenal problem because of being on such a lousy treatment for you for a few years. Do the Discovery Steps here: http://www.stopthethyroidmadness.com/adrenal-info There is more in Chapter 5 in the revised STTM book to do, too. I have a friend that was told he had hypothyroidism. He was treated with thyroid meds and things only got worse for him After 3 years they finally testing him for Lyme Disease. He had lyme disease which caused hypothyroidism. If you are hypothyroid, and are struggling with unresolved symptoms, you may want to explore the possibility of an undiagnosed Lyme Disease infection. Many patients and practitioners are not aware of this link between Lyme Disease and hypothyroidism. Specifically, some research has shown that the Borrelia bacteria that causes Lyme Disease can trigger Hashimoto�s thyroiditis in some people. So there are some patients who had undiagnosed or untreated Lyme Disease, only to go on to develop an underactive thyroid later. Please, Could you help me? I�m trying to calculate the free T3/RT3 ratio and total T3/RT3 ratio of my figures T3 analysis, but I can not because I have problems with the different units of measure and I�m going crazy with calculations. Pain, so will see..weight is up also..
Hi Kayla. Yes, we are here to listen. And here’s where to start towards getting your solution, because doctors don’t get it: http://www.stopthethyroidmadness.com/t4-only-meds-dont-work I would also strongly recommend getting the revised STTM book: http://www.laughinggrapepublishing.com Hang in there! Patients have figured a lot out for you. I’m also in BC and have had a wild ride of symptoms and the ‘Doctors knowing what’s best’. Thanks to Janie for this site! 2. Selenium. I take low level supplements a couple of times a week. Much of BC has little Selenium in the soil, so eating healthy and local will not help you to get this most important T4 to T3 converter/activator. 3. Adrenals. I suspected this was a co-factor and the Docs wouldn’t hear of it. In desperation, I went to a Chinese Medicine Doc (learned we have 9 pulses representing different body systems) and after 3 minutes of adjusting and readjusting his fingers on my wrist, he told me I have ‘no discernible adrenal pulse’. He gave me some chill pills to keep my adrenals from overworking/let them heal. He also injected adrenal glandular liquid directly over my adrenal glands. For the first time in 2 years, I felt calm and quiet in my body. Supercalm wore off after a week but it’s like he jump-started the healing because I don’t feel nearly as strung out as before. My Chinese Medicine guy is English and also does acupuncture, nutrition, qi gong (like tai chi), and other stuff. I mention this because I saw a Chinese CM doc once before, years ago and something got lost in translation when talking about the million details of living with hypothyroid. I hope there is something useful for you here and wish you only the best wishes for getting back to your real self. You are not crazy, you are still sick and deserve to be fully treated. Here is my story and request for suggestions. All values are within "normal" limits and still feeling quite bad. Continuing from above — What is happening? I will be getting results from blood tests on June 6th. I expect it may be wacky, but ??? I believe my doc will prescribe a NDT and I was hoping to be able to get the Canadian “Thyroid”, as you Janie uses. Any suggestions? I have the 1st STTM book and have learned much from it. Even had my doctor read the introduction (he did). I’m thinking That I would benefit from an NDT and welcome suggestions. Hi Richard. There seem to be some people who are put on the lousy Synthroid due to a high TSH, but the latter can happen from stress in some people, not from primary hypothyroidism. So perhaps that was you! Congrats! I have a somewhat long story that mostly belongs on the the Doctors Wall of Shame. I am just wondering if there is a doctor worth seeing in Washington, Idaho, or Oregon. Pfizer’s Cytomel (T3) in the U.S. now contains gluten (wheat starch). Is this old news that everyone already knows about and I”m just discovering, or is this new info to most people? You can call Pfizer at Call Pfizer at 1-800-438-1985 to report a concern over this. My thyroid has been taken off mostly after three operation due to the benign nodules. I’ve had L-T4 every morning when I wake up with 1 and 3/4 pills.The T3 is normal, but T4 and TSH little bit higher than normal. Do you have any convinient method to measure the thyroid function rather than to have a blood test. Thank you very much. Happy to find your website and FB page. I have several thyroid nodules and cysts which get inflamed time to time and ibuprophen can calm it down. My lab tests TSH,FT4,FT3 are normal and antibodies not found. But I have severe symptoms like headaches,jaw aches,fatigue,hair loss,depression,anxiety and racing thoughts. Right now I take iodide 100 mcg per day by doc prescription and under observation. I have feeling my thyroid is compensating hormones now but it can become decompensated. Also I am linking it somehow to the chronic tonsilitis I have. I have been diagnosed with a low thyroid for about 9 years but have been refusing to take any medication because I just felt like my symptoms were quite minimal and did not seem to affect my life. My doctor at the Veteran’s Administration is upset with me because she says if I don’t start on medication all kinds of other things could happen to me in the future regarding my health. My TSH was at 56 once, but now it’s at 15 and last year was a 6.5. The doctor said the number does’nt matter much; once it’s too high it’s too high. My T-4 Free was recently measured at 0.76. I am a 57 year old male. A year ago I was told by an endocrinologist that I would eventually get full blown Hashimoto’s and that I was postponing the inevitable. Most of the people on this site seem to be suffering a lot; I’m currently feeling Ok. My question is, has anyone out there been in a situation like mine and healed their condition and if so, what did you/they do?! Thank you for your response and your help! Never heard of it causing fever, Terese. Other brain hormones high – prolactin, lh, Fsh very high 24, max. Range goes up to 12. Any suggestions male age 72 exposed to chemicals years ago. My DO dr has me starting on NatureThroid at 12.5mg because of heart palpitations. Based on your book, I should be starting at 5 times that amount and going up from there…? Almost 4 years ago I, had my right thyroid removed when a nodule was discovered. the original aspiration did not have definite determination of cancerous cells so removal was suggested. As it were, they did discover papillary cancer cells and gave me the option of irradiated iodide treatments or removal of the left thyroid to prevent possible spread. I opted for the latter. I feel to this day had I been better prepared and educated ( since then I have found out of the mistreatment) I probably wouldn’t have made that decision. I am a 53 year old who was going through menopause at the time, suddenly left my husband, went through the second surgery, and now have filed for the divorce and waiting. I have been separated for 31/2 years and waiting over a year for divorce. I am very confused at this point, in a lot of pain, tired and depressed. I am trying sooooo hard to do everything I can with diet , wellness education and even tried meditation. My exercise program doing water aerobics helps amazingly with pain but I have to be very careful not to over do it or I sleep all day. My recall memory is becoming very poor, faces and names I new yesterday will be forgotten today. I make very bad decisions. Very difficult to make commitments or keep a job. I can’t get my doctor or endocrinologist to listen. I take 125 mg of Levothyroxine every morning. I hate my life but i fight the fight every day ( 14 grandchildren is all the incentive I need). Hang in there all and pray this is a temporary…life that is. The best is yet to come and it will. Anyone suffer with on again off again hyperhyroidism? Mine has never been off the charts hyper. Four years ago they found nodules. After that I started having a red blistering rash on my feet and lifting nail beds. Now I ache all over like I have the flu, or been in the gym ALL day. Lost my insurance, so all the Dr. will do is tsh. Jesse, one thing patients have learned is that lab results have nothing to do with just “falling in the normal” range. i.e. it’s “where” a result falls that has meaning. http://www.stopthethyroidmadness.com/lab-values Also sounds like she could have Hashimotos with that swollen thyroid. The only way to know for sure is do BOTH antibodies labs, shown on this page: http://www.stopthethyroidmadness.com/hashimotos A very small percentage of Hashi’s patients show no antibodies but symptoms of Hashi’s, so they have an ultrasound. Finally, yes, NDT has done wonders for Hashi’s people, but the above Hashi’s page will give you patient experiences. IF she learns it all, she can hopefully find a doctor to share it with and get the right treatment. Another thing I have seen is iodine deficiency may cause swelling, maybe that’s it, idk, got the endo appointment moved up to tomorrow because it’s hard to swallow, do you think people should cut out gluten dairy and soy? And of course sugars? I’ve been on Levothyroxine for 15 years. I remember the Doctor who first prescribed it was telling me that thyroid disorders were “no big thang” as he pulled his pocketknife out of his pocket and started to clean the dirt from underneath his fingernails, (he was an accomplished surgeon too) telling me I basically had 2 options, one, he could put me on Levothyroxine for the rest of my life, or 2. He could cut that sucker out, anytime I wanted. I opted for the Levothyroxine, being not overly impressed with his surgical skills so far. He lost his license to practice medecine soon after that, after being convicted of abusing prescription meds he had over-prescribed to himself. I’m tired of being tired all the time, how does one even begin exploring potential options? With blood work? Or by taking some supplement? My current Doctor is a nice enough guy, but both times I told him I’m still really tired, he ordered more blood work and then upped the dosage on the Levothyroxine. See, Doctors these days have no problem putting you on a half-dozen meds for the rest of your life, they see that as having done their job. Hi Tim. Congratulations for getting it that levothyroxine is not the way to go. I would recommend starting with the revised STTM book to learn from patients: http://www.laughinggrapepublishing.com And this will help: http://www.stopthethyroidmadness.com/natural-thyroid-101 It’s important for each of us to become quite informed in order to guide any doctor. My husband (see message 2) went to live in a nursing home a few days ago. His hospital discharge summary gave his T3 medication (total 100 mg, as it has been now for five years, except when messed up by endocrinologists) to be given 5 times a day at 3-hourly intervals. When I arrived today I found that the nursing home doctor had ordered his entire day’s 5 doses to be given at 8 am, and it had been. Such ignorance of the difference between T4 and T3! My husband seemed okay when I left him at 5.30 pm, but I will telephone later to check on him. Oh boy. I saw the same thing on my prescription bottle of NDT…3 1/2 grains in one gulp in the morning. Nope. By the way, people have regularly reported getting better results with 3 times a day for T3-only rather than 5 timed, probably because each dose gives a bigger punch that way. We agree that symptoms can have different causes. But it doesn’t take away that hypothyroidism, and especially poorly treated hypo with Synthroid, can result in those same symptoms, like being tired all day. Hot flashes are usually associated with low estrogen, or low iron (which is common with being poorly treated) and/or low aldosterone (a steroid which if low, usually means cortisol is too low, and low cortisol is the result of the poor treatment with Synthroid). I am solely on T3 due to hitting a “wall” after being more than 20 years on T4 alone. Definitely T4 resistant. Was never able to get my NTH high enough but now realise that I should have been on 3 or 4 grains. I currently take MR or modified release T3 which although it is still chemical tertroxin is delivered in a modified release that is easy to take and what’s better my body likes it. I take it twice a day and because it is a low dose delivery it is so much kinder. If this is taken off the market I am not sure what I will do. Just when I feel I am making progress. Was I right in reading that Papilliary Cancer has now been downgraded to a non cancer condition. After 35 years and three doses of 131 radiation and so much worry……..
Judith, yes, you were right in what you read, but not all patients agree with the down-grading. No, this is not correct. This is for a very specific variant of papillary thyroid cancer. This variant form is no longer considered thyroid cancer. But papillary cancer itself still exists. See New York Times article at: http://www.nytimes.com/2016/04/15/health/thyroid-tumor-cancer-reclassification.html?_r=0 and also the actual research article itself at http://oncology.jamanetwork.com/article.aspx?articleid=2513250 Online First > Original Investigation | April 14, 2016 Nomenclature Revision for Encapsulated Follicular Variant of Papillary Thyroid CarcinomaA Paradigm Shift to Reduce Overtreatment of Indolent Tumors Open Access ONLINE FIRST Yuri E. Nikiforov, MD, PhD1; Raja R. Seethala, MD1; Giovanni Tallini, MD2; Zubair W. Baloch, MD, PhD3; Fulvio Basolo, MD4; Lester D. R. Thompson, MD5; Justine A. Barletta, MD6; Bruce M. Wenig, MD7; Abir Al Ghuzlan, MD8; Kennichi Kakudo, MD, PhD9; Thomas J. Giordano, MD, PhD10; Venancio A. Alves, MD, PhD12,13; Elham Khanafshar, MD, MS14; Sylvia L. Asa, MD, PhD15; Adel K. El-Naggar, MD16; William E. Gooding, MS17; Steven P. Hodak, MD18; Ricardo V. Lloyd, MD, PhD19; Guy Maytal, MD20; Ozgur Mete, MD15; Marina N. Nikiforova, MD1; Vania Nosé, MD, PhD21,22; Mauro Papotti, MD23; David N. Poller, MB, ChB, MD, FRCPath24; Peter M. Sadow, MD, PhD21,22; Arthur S. Tischler, MD25; R. Michael Tuttle, MD26; Kathryn B. Wall27; Virginia A. LiVolsi, MD3; Gregory W. Randolph, MD28; Ronald A. Ghossein, MD29 [+] Author Affiliations JAMA Oncol. Published online April 14, 2016. doi:10.1001/jamaoncol.2016.0386 This is just one form of what was once diagnosed as papillary cancer. What was downgraded was a particular form of this, NOT papillary cancer itself. I think what ur doing is brilliant. Taking the medication off is just ignorance!! I support u in ur activisim. I’ve had congenital hypothyroidism since birth. Oh – hecky thump Janie – you have made me come over all shy! Thanks though for your great endorsement and for pushing the fact (as you always do) that all we thyroid advocates should, and must work together – as this is the only way we will eventually get our message(s) through. It is so hard to believe that there is even consideration that prescriptions for T3 should removed so patients here in the UK will be left ONLY with prescriptions for the beetle juice L-T4 monotherapy. Somebody, somewhere must be getting some mighty big back-handers from the lucrative Big Pharma. I will post a copy to you of my response to PrescQIPP -DROP List once completed. What is happening must be made as public as possible because if it is allowed to happen in the UK, you can guarantee it will not be very long before it starts to happen in the rest of the world. From the UK. Thank you Shelia . So many meds are not available on the NHS already. To take any off is unthinkable . There must be a way to be heard . I’ve had enough from the truth being withheld . Thank you Janie for mentioning the UK fight that Sheila and people in the UK who want anything other than T4 monotherapy are up against. Before I became worse with Addison’s disease I used to help with TPA a little as a moderator and you are right about Sheila she is a wonderful fighter for us. I was in hospital 3 weeks at the new year and they immediately left me on thyroxine and my body missed my dessicated thyroid and I soon became depressed and weaker. Some of that of course was that they saw fit to change my adrenal hormone replacement too, I weakened, was so ill, they are so ignorant about thyroid and adrenals. These doctors pretend to care but I have come to the conclusion that they really don’t, those in high places anyway :(. Who the hell are these people given the right to drop essential meds off the list anyway? Greetings from USA. Thank you Shelia for giving thyroid patients like myself a voice. This is a horrible injustice for all thyroid patients everywhere. The “What’s next?” is to horrible to imagine. Removal of all NDT drugs? Just T4 drugs. I too would love to know what I can do to stop this travesty from happening. Such a great post! Thanks for sharing! I recently have switched to NDT and T3, and the combination has changed my life! Synthroid did not work for me after having my thyroid removed last August, and I have been miserable until switching! I am so thankful to Sheila and others for their tireless work on behalf of thyroid patients. Just last week my NHS Endo agreed that I could have T3 prescribed as I cannot tolerate Thyroxine. He is sending my GP a letter. ( Now I am worried if I will actually receive it. ) I was diagnosed in 2004 and always felt extremely ill on thyroxine. I bought the T3 myself and began to get better thanks to Paul Robinsons method. I had planned to ask my Endo if he would prescribe it but to my surprise he offered before I could ask and said that I didn’t need to buy it as it was available on the NHS. KODOS to Janie and Sheila Turner and all who are putting up a GREAT FIGHT for our THYROID RIGHTS . Taking off T3 off the market is SUICIDAL . Are the ones that wanting to remove T3 are any of their loved ones depended on thyroid meds ? Do they know what it’s like to be with out the meds . we must have .What do they know what’s good for us ? Why don’t they rather ask US thyroid meds . depended patients what more they can do for us to feel the very best we can feel . Instead of taking our life meds . away and punishing us even further . ENOUGH !!! PLEASE STOP THE THYROID MADNESS PLEASE !!!!! Janie please let us know what we can do on our part to STOP THE THYROID MADNESS to rid this problem and future problems once and for all . Leave it up to us thyroid patients what works for us . And STOP PLAYING AROUND WITH OUR THYROID MEDS . We KNOW WHO YOU ARE . TRUST US . We know how we feel . You don’t . My husband, aged 82, was in hospital last year, first for an infection, then for a bleeding ulcer. Though he had been taking T3 for four years, the endocrinologists “did not believe in T3”, so they withdrew it and replaced it with T4. He promptly went into a serious condition, myxoedema crisis, which has a high mortality rate. He was fortunate to survive. The endocrinologists just did not consider that there might be a good reason for him being on T3. When I have been in the hospital, when I check in I always tell them I am allergic to Synthroid, so they cannot change me from NDT. Fortunately, I have only been asked once by my hemotologist what they symptoms were, I replied, rapid heart rate, shortness of breath, and a flush over my upper body. I live in the States Sheila and this disturbs me that they are trying to do away with T3 as a thyroid treatment! Thank you for fighting the good fight for us all! I have to share a heavy news with all of you. The 7th of June Sheila was admitted to hospital after a massive stroke. She was hospitalized for 8 weeks, of which the first 7 weeks without treatment with NDT. Rescue workers did not know that she is being treated for thyroid condition and her family did not notice that her medication was forgotten. Because Sheila herself lost the ability to speak, she could not make others aware that she needed her medication. How the lack of treatment of her thyroid condition had affected her recovery from stroke, only the gods know … but I’m not very optimistic. I am glad this is out now about her stroke. Thank u. I knew about not long after it happened, but for her privacy at the time and weeks afterwards, decided to say nothing. So it’s time and glad you posted. It is simply awful she went so long without her meds.